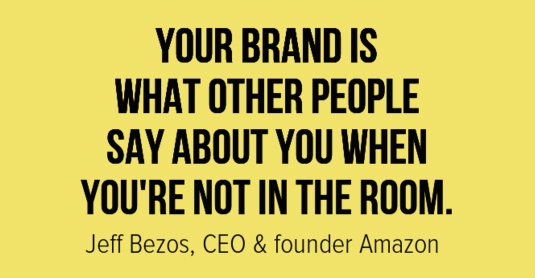 “Your brand is what other people say about you when you’re not in the room.” – Jeff Bezos, Founder & CEO of Amazon. The following is the second part of a two-part article focused on positioning your brand in a very load and crowded marketplace. You can find part one here. Marketing is mostly tactical – it’s what you do, it’s the actions you take. Branding on the other hand, is bigger than that. It’s philosophical – it’s your identity, it’s who you are. 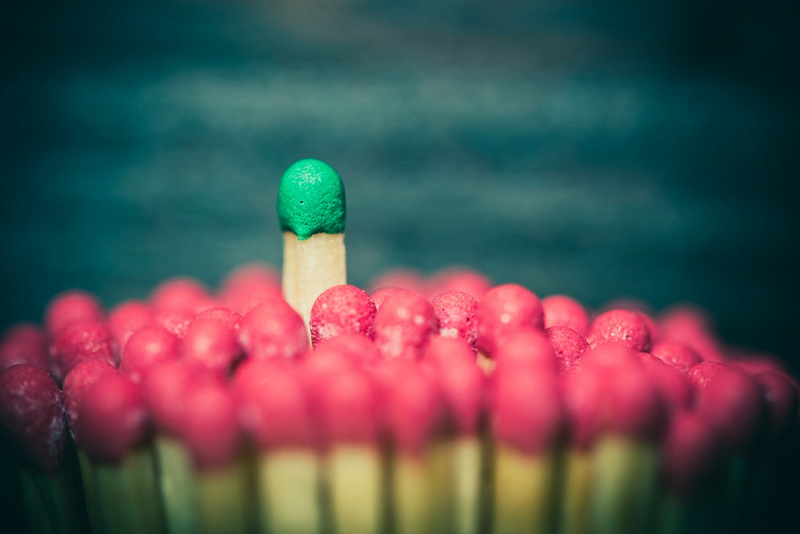 Branding is the summation of all of the attributes you have chosen for your company in order to stand out from the competition. We also discovered that were not really in charge of our brand positioning at all. In fact, it’s your target audience that decides how are are positioned in the market. Branding is a collaborative effort with your audience and customer and the market in general. In fact, the most critical outcome of your branding efforts are determined by the market. This is called Brand Positioning. Positioning is the perceived value of your company and it’s product/service offerings. Since brand positioning will actually take place on its own without our help, it’s critical to our success that we get our heads in the game and do our best to craft our brand image and consistently reaffirm our brand’s values into the minds of our audience. Then, it’s up to the market as to whether or not they agree with our assessment. Therefore today, we’re going to introduce some tools and methodologies to understand our current brand position, create our brand positioning statement and develop a strategy for leaving a lasting impression on the minds who matter most: our customers. 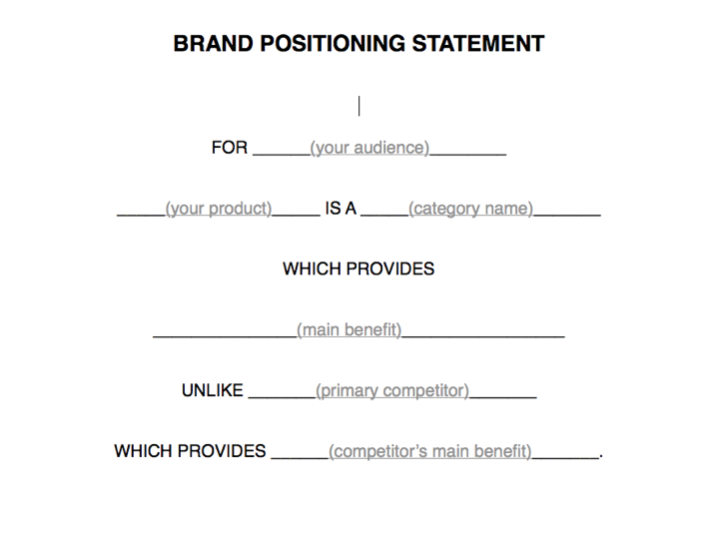 Last class ended by passing out your Brand Positioning Worksheet. Did you do your homework? 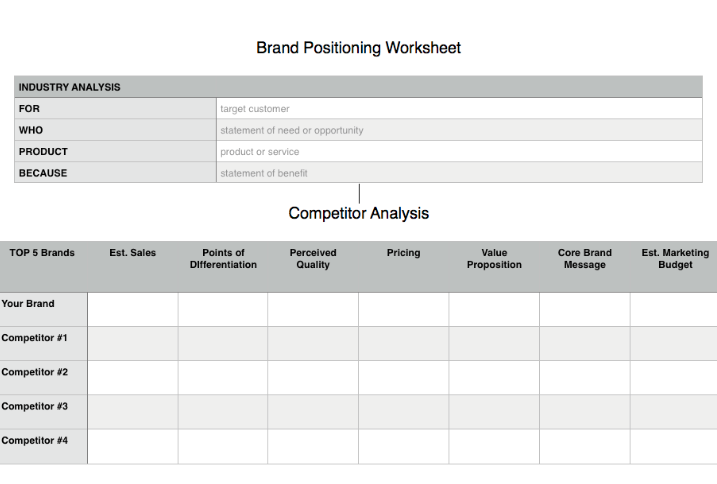 If you completed your Brand Positioning Worksheet, you should now have a bird’s eye view of your industry and where you stand relative to your competitors. This is a critical step because it provides a solid understanding of how your audience perceives you and offers insight into niche markets that are currently being ignored by your competition. Plus, it give you the framework necessary to structure your Brand Positioning Statement. – Amazon’s actual Brand Positioning Statement from 2001 (we know it’s old because they call us “World Wide Web users”). – Brand Positioning Statement for Zipcar circa 2000. 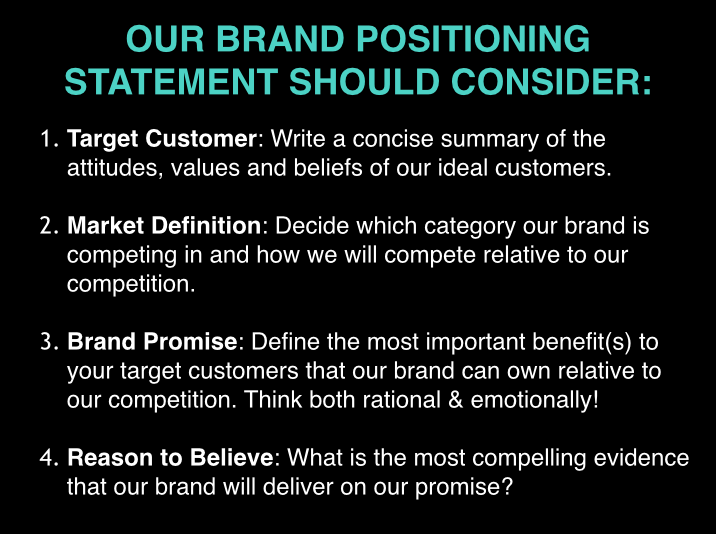 Now comes the hard part: Actually living your Brand Positioning Statement and executing on your brand promise. If you don’t deliver on the qualities you have chosen to represent your brand, your Brand Positioning Statement becomes more wallpaper and you can hang it up nicely next to your mission, vision and values in your lobby entrance. The brands that truly live their statement day in and day out are the ones who will build the longterm relationships founded on trust that will keep them successful for years to come. Hat Tip: Jack Trout and Al Reis’s classic book “Positioning” and Cult Branding Company.